KIDS LOVE FASHION ONLINE PHOTO CONTEST! 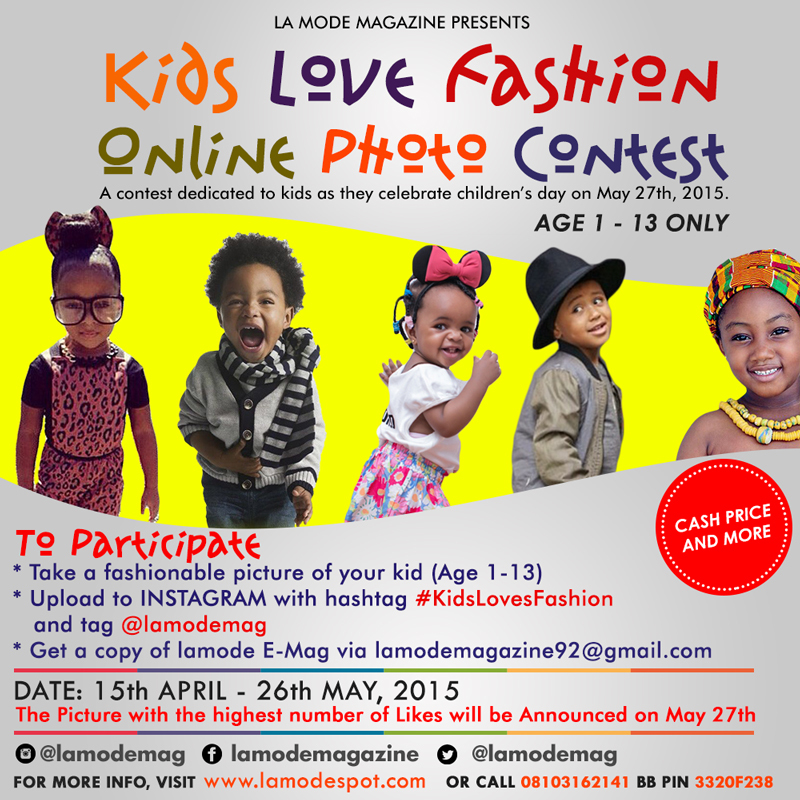 ‘’Kids Love Fashion Photo Contest’’ is a La Mode Magazine initiative geared towards celebrating children as they celebrate children’s day on May 27th 2015. We are appreciating children who are fashionable, stylish, intelligent, talented and smart. The photo contest is open to children between the ages of 1-13 years male and female. It’s an online contest. 2. Feature on La Mode Magazine Cover with one of Nigeria’s top celebrity (ies) the 6th edition. 3. 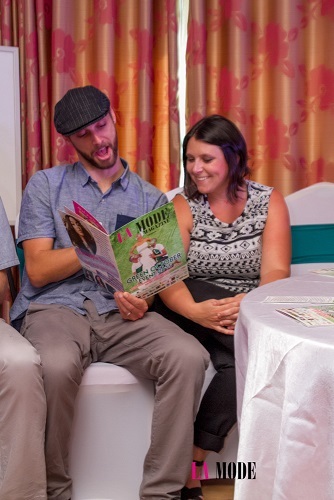 Free copies of La Mode Magazine both print and E-Copies till May 27th 2016. Tiwa Savage & JamJam are Posted up at #TheSavageTour Pop Up Shop in London!